Today, the news of WhatsApp could not be better for those who can not stand the conversations of your phone are governed by chaos. Especially in those cases where we have several groups speaking at the same time, and it is impossible to keep up with them. 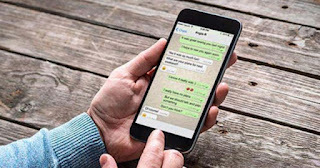 Finally, after several years of disorganization in the menus, the labels will arrive to WhatsApp , in order to give us freedom when managing the chats. The truth is that, at this time, some developments like the ones we have taught you to start leaving behind the dirty rags that have been discovered recently on Facebook, the WhatsApp matrix, were not bad . The company does not go through its best, and although it seems silly, attending to suggestions from users always helps to put some order. And never better said, because the novelty that has been revealed today will help us a lot with our organization. In the site of frequent questions of the platform, a new section has been found that talks about these new labels. The new feature will work on conversations and messages, so we can assign different labels to individual messages, or to full chats. This includes, of course, the group chats. In this way, we can order our chats and messages according to the labels we decide to create. On the other hand, it is important to highlight that it also applies to users, so that when we apply any of the labels to the messages of a contact, the label will also appear in the information of that contact. 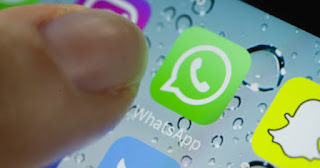 So we can apply the same organization to our agendas, which is especially good for when we have several contacts with the same name , and we can not remember which one is on WhatsApp. And you, what labels will you create when this function comes to WhatsApp?